Most people are familiar with the keyboard shortcuts Control-C to copy, Control-V to paste. We can also use the context sensitive right-click menu to Copy and Paste. In addition, we can drag and drop selected items or text from one part of the screen to another. Each of these copy-paste functions tends to bring more than just the coveted text -- it often brings font and paragraph formatting. 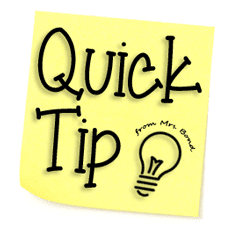 In Microsoft Office products, there is an option on the right-click menu to "Keep text only". In many Google products (such as Gmail, Blogger, Sites), we have a similar option labeled "Paste as plain text." In Google Sheets, "Paste Special > Paste values only" produces the text only. Oddly, neither Google Documents or Slides includes this option in the right-click menu. Once the text is pasted, we could remove the text and paragraph formatting. One could also paste the text into a plain text editor, copy the unformatted text, then paste this unformatted text into the document. These workarounds are fine once or twice, but when gathering a lot information and working with a tight deadline, it is simply not efficient. Today I reached the tipping point in my frustration with this lacking right-click menu feature. And with all this copying and pasting, be sure to cite your sources!